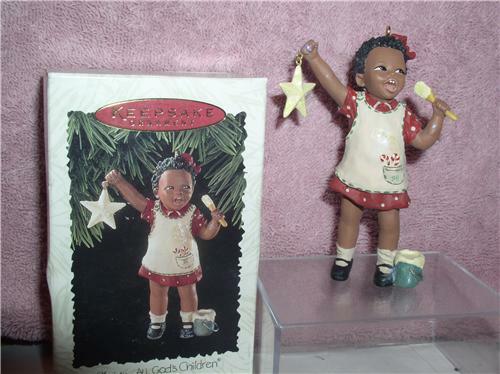 Hallmark Keepsake Handcrafted Christy - All God’s Children dated 1996 ornament. It is in the original box. Made of resin. Approximately 4 inches tall. This picture does not do this item any justice at all..